This 8x10 Stencil has 4 Qutoes. 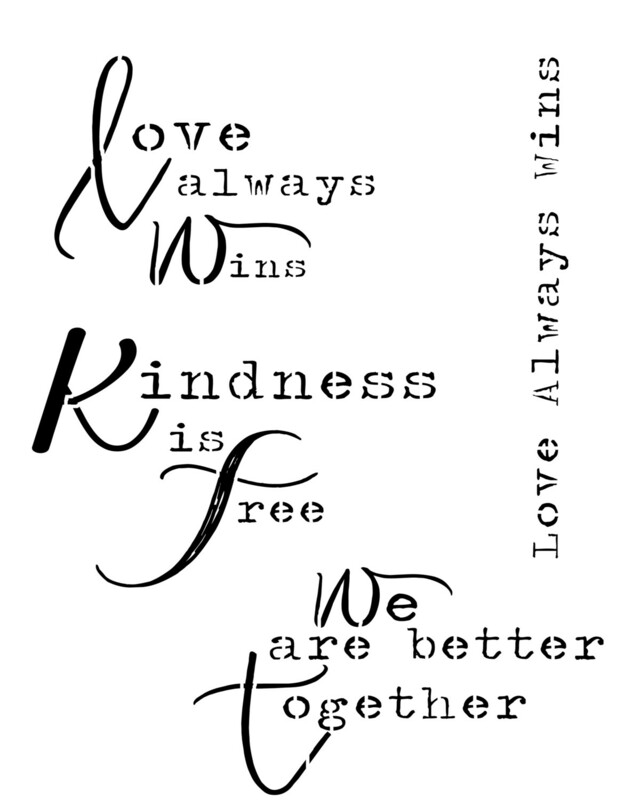 Love always wins, Kindness is free, We are better together, and then love always wins straight. Made of heavy duty mylar that is washable and great to use on any project.